The 2012 season on the Varzuga will go down as one of our very best in the 21 years that we have been running the programme. 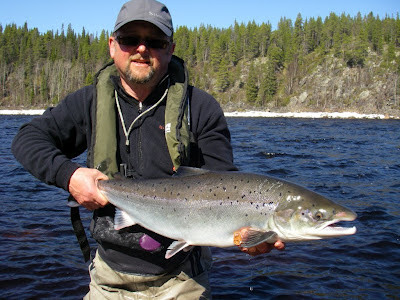 More fish than ever before, a bigger average size of fish and salmon throughout the season that were in immaculate condition led to some epic fights. It did not start as we would hope. 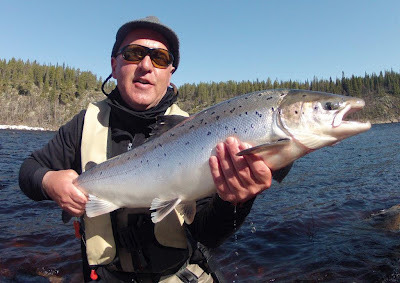 Our main aim is to have rods on the river about 5-7 days after the ice has broken and whilst this year the ice break was 4-5 days later than we would hope, the portents were good as our first clients flew into Murmansk. We expected a tough couple of days but then were very confident that the main run of fish would reach the beats and the fishing would improve exponentially. 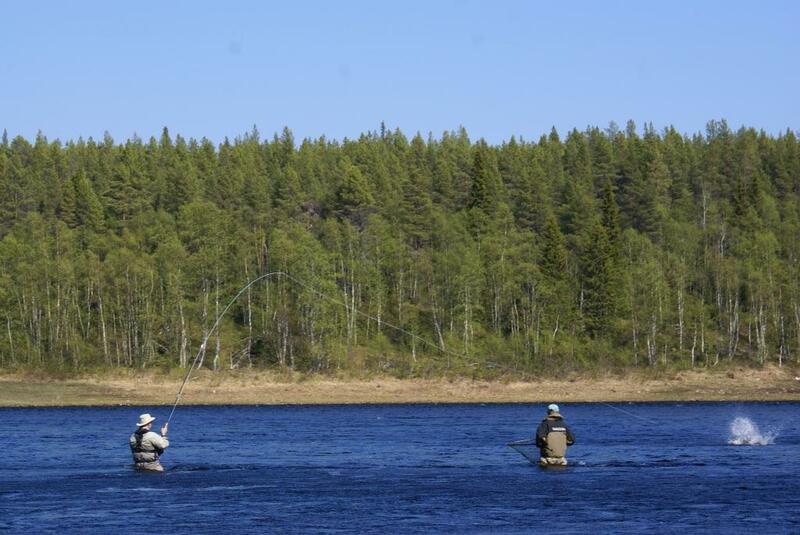 This is exactly what happened at Middle Varzuga and the 8 rods there landed 329 salmon for their week with the latter half of the week fishing better than the first. 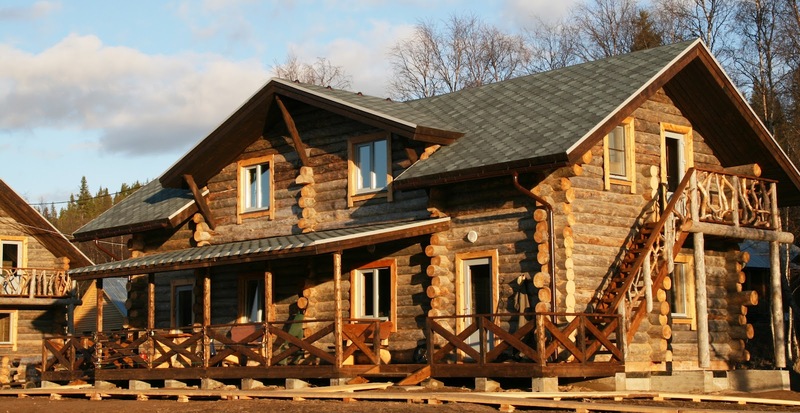 Unfortunately at Lower Varzuga, the rods suffered from an unusually quick melt of the snow which coloured up the water and the fishing was exceptionally difficult. We decided to refund these rods their fishing package as we have always said that if we cancel the first week then you will get your money back. It seemed fair as even though the river was essentially clear of ice, the conditions had made the Lower camp unfishable for 4 days. From that moment on, the season was a stellar success. We broke every Atlantic Salmon record that has been set and we know this because most of the records were originally set on the Varzuga. 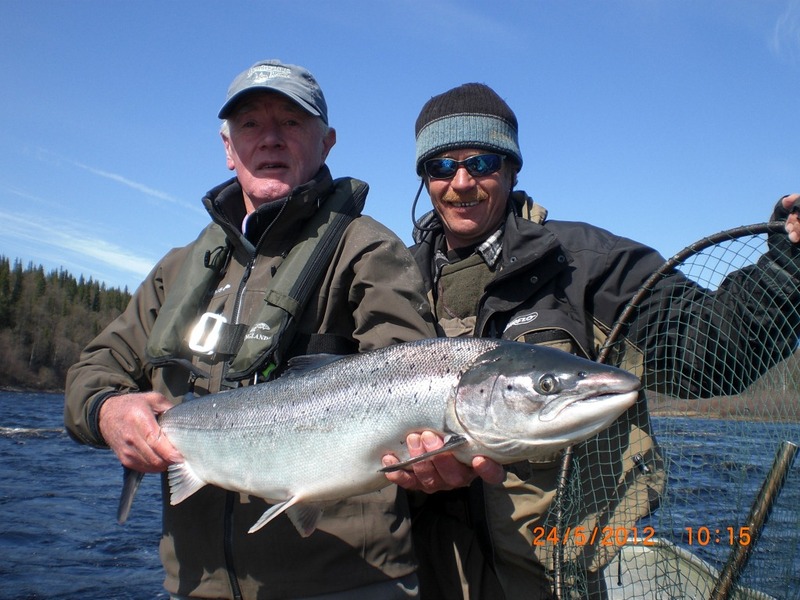 One of our clients landed 67 salmon in a day which is the most that has ever been recorded, two separate teams of 12 rods landed over 1,300 fish in their week, 8 out of 12 rods in one camp landed 100 salmon or more to their own rod for a week and we had endless people landing their first salmon, their first Russian salmon, the first time they had landed more than 10 in a day and so it went on. The bare statistics make for extraordinary reading. 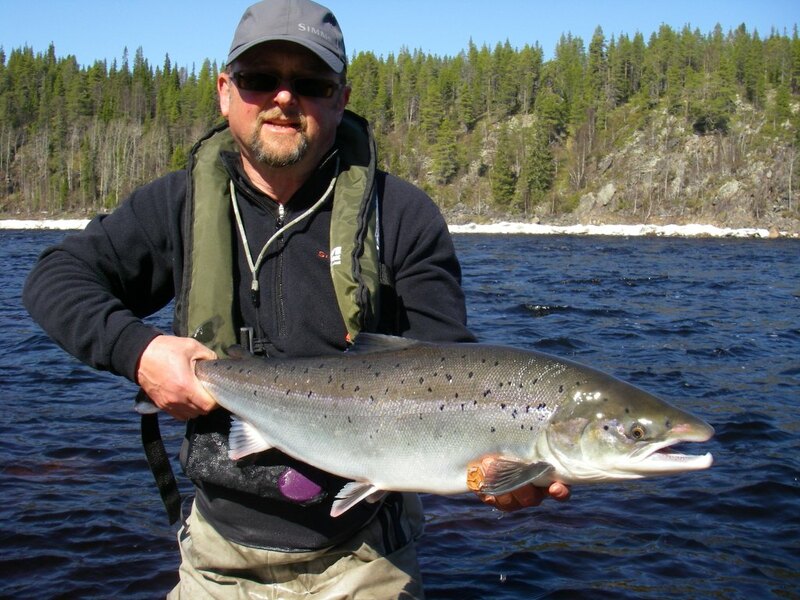 In our short 6 week season, we landed over 8,500 salmon which meant that the seasonal average was over 50 fish per rod per week – these are numbers of salmon that are simply not found on any other river in the world. As ever, averages are just that. Some people will have landed a lot more than 50 fish in their week, some will have landed less. Skill, time on the river and sometimes just the fishing gods mean that there will always be some disparity in the numbers but it does show what the river is capable of. Much is made of the numbers and it is difficult to get away from them when people are landing so many fish but the reality is that 99% of the clients remember the numbers as being about the 6th most important part of their trip. Fun, hope, expectation, time spent with friends in extraordinarily wild and beautiful surroundings are what really stand out. Combine that with the chance to really practise salmon fishing as opposed to a casting holiday and it is easier to understand why the Varzuga is such an alluring prospect. Until you have been there it is impossible to imagine how much fun a week can be on the Varzuga and one of the great joys of the job is seeing the huge smiles that are flashed around the camps every evening as people recall their day. I must thank all of our staff and our Russian partners who all work very hard to ensure that every rod enjoys themselves to the full.